Lauren Tickle recently relocated to New Orleans, Louisiana. In her Increasing Value series, currency is transformed through a labor of love prompting reflection on the value of an iconic symbol - the US dollar. 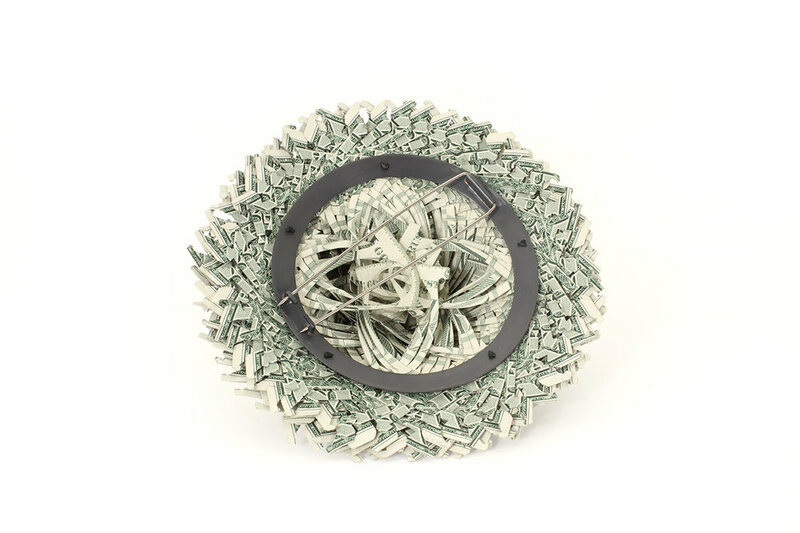 In its new form currency has been upcycled. She received her BFA from the Pratt Institute and an MFA in Jewelry and Metalsmithing from the Rhode Island School of Design. She won the prestigious Talente Special Prize in 2014, honoring emerging artists in a variety of disciplines. Her works have been on display at the Racine Art Museum, Seoul Art Center’s Hangaram Art Museum, Marino Marini Museum for Contemporary Arts, and the City of Paris’ Museum of Modern Art and published in American Craft, Metalsmith, 500 Silver Jewelry Designs, and Kunsthåndverk. Her work can be found in private collections both Nationally and Internationally, as well as in the permanent collections of the CODA Museum in Apeldoorn, Netherlands and the Newark Museum in Newark, New Jersey. My work is an experiment in the concepts of value and adornment. My process in the Increasing Value series takes currency of defined value, distills it to graphic elements, and then reimagines it into an object much more precious. These kaleidoscopes illuminate an alternative to money's intended function in our society. I leave the identifying words, letters, and numbers out of my work so the viewers can draw their own conclusions about its value. How and why are these bank notes distanced from their defined worth? Concept, process, and labor create value. The parody of a kaleidoscope is effective in portraying my alternate reality in which money can be worth more than its face value.